So the scene is set for a visit from Santa Claus (AKA Father Christmas!) in this much loved festive poem by Clement C. Moore. 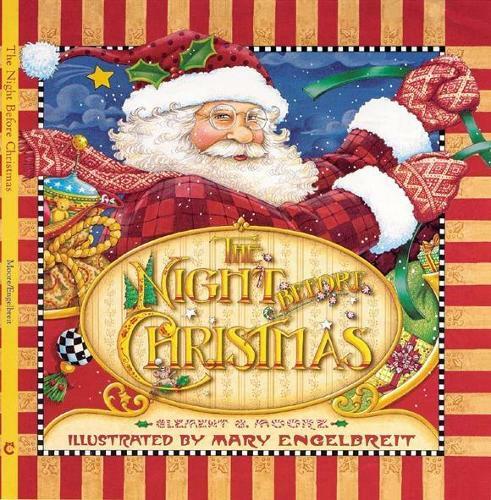 Brought to colourful life by Mary Engelbreit's lavish and warmly traditional illustrations, this version is perfect to share with children in the build up to Christmas, capturing the excitement and magic of festive season in a wonderful, read-aloud poem. It makes a great Christmas gift or stocking filler to be treasured by all the a family. This popular version, now in a new edition, has has been a New York Times' bestseller. This story is not new (in fact it was my mothers favourite story) - the illustrations in this version make it very special.